Thorndon Hotel Wellington is located in Thordon, Wellington's historic suburb. 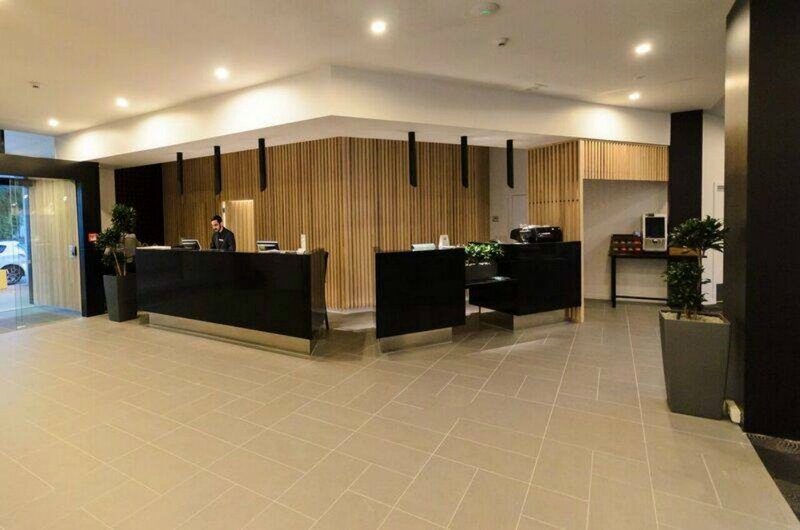 The hotel is within walking distance of the CBD & Westpac Stadium, as well as ferry terminals, bus & train lines. The hotel is clean and well decorated, the staff friendly and welcoming. There are 108 affordable guest rooms and suites, excellent restaurant and bar, and five dedicated conference rooms. Views of the harbour and city skyline are abundant from the hotel's guest rooms. Five conference rooms offer flexible state-of-the-art event venues. The rooms feature modern decor, the latest technology, and abundant natural light. Seating is available for up to 150 persons. A number of breakaway rooms are located close to the main conference rooms. The hotel's conference coordinator will ensure your meeting is a success. Guests can make use of non-affiliated fitness centres located a short walk from the hotel.